Buffalo State Cares is a new initiative by SUNY Buffalo State to reduce suicide on campus and support students in suicidal crisis. Recent research has indicated that the mental health of college students is often compromised as they juggle the demands of academics, family life, work, and social relationships. According to the Centers for Disease Control, suicide accounts for more than 12% of all deaths among 15-24 year olds. It is the second leading cause of death on college campuses. College campuses must respond to students’ emotional and mental health needs to prevent such tragedies.  With support from the Substance Abuse and Mental Health Services Administration (SAMHSA), Buffalo State Cares will enhance current campus and community outreach about suicide in order to create a social climate that encourages detection of suicidal ideation/ behavior, promotes referrals to mental health services, and results in increased help-seeking behavior by students. This will be a joint project between The Counseling Center and the SUNY Research Foundation/Center for Development of Human Services.